The next NERP (Not Exclusively Raspberry Pi) meeting will be at 7pm Monday Sept. 10th. See the NERP Meetup page for more information on location, meeting format, etc. NERP is Not Exclusively Raspberry Pi, and this Monday’s meeting will also discuss Android and beer. During fermentation beer must be kept at fairly precisely controlled temperatures. The required temperature varies with the stage of fermentation and other factors. Any self-respecting beer temperature monitor would be accessible from the ‘net, and this one is no exception. 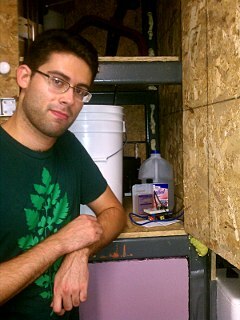 Monday, Eric Stein will show Brewing Station: One’s Raspberry Pi based temperature monitor and controller. Eric will show how the Python code and electronics work and discuss some issues around controlling temperature. Sampling the product will have to wait until Beer Church taps the keg. Jay will be doing a short walk-thru and talk about the user-land experience with the new Ricomagic MK802 thumb-drive-sized pocket-computer. Jay will be demoing android 4.x, Fedora, Ubuntu and/or puppy linux on the Ricomagic MK802. The Ricomagic MK802 is a $65 Cortex A8 1GHZ processor with 1GB of DDR3 Ram, 4 GB flash, wifi and a 500MH GPU (Mali 400) with HDMI video. 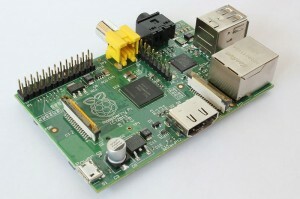 The small computing landscape is changing fast, and the Raspberry Pi is only part of the story. 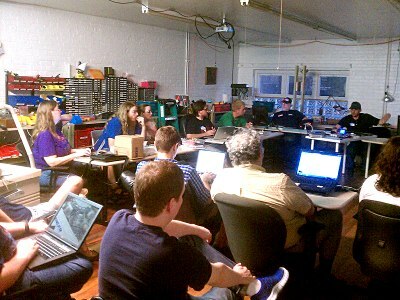 The bi-weekly NERP (Not Exclusively Raspberry Pi embedded systems) Meetup focused on serial i/o. Serial interfacing allows connecting “stuff” to a processor using a small number of wires. There are different ways of making serial connections to processors, and last night we talked about two of them. Drew showed how to implement I2C interfacing to several devices he had out for demo. I2C (I-Square-C) is a way of wiring smart devices like sensors, displays, and microcontrollers to a host computer. The Raspberry Pi has connection pins for I2C on the board and a kernel module for talking to I2C devices from user land. Ed quickly demoed a couple of examples of UART serial technique with a Raspberry Pi running a login on a dumb terminal demo and an RS485 to PC interface on a Macbook. We’ll examine practical applications of these connection methods and others including SPI in future meetings. The NERP description and meetup are at http://www.meetup.com/NERP-Not-Exclusively-Raspberry-Pi/ . 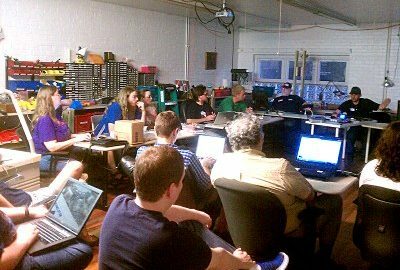 (It’s not necessary to use the Meetup signup to attend NERP, but it helps us anticipate how to set up the electronics lab for the number of attendees. Also it shows Meetup that people actually attend the meetings.) . We’re looking for people who would like to show their work or lead a NERP-related discussion. We’d especially like to hear about works in progress (i.e., unfinished), both in hardware and software. Python, C, interfacing, non-Rasapberry Pi embedded systems, media, networking, and physical devices are particularly interesting. Contact Ed (ed -> kineticsandelectronics – com) to schedule a day. The first meeting of the Embedded Systems But Not Exclusively Raspberry Pi Interest Group (ESBNERPIG or just “NERP”) will be Monday July 30th at 7:00pm. Embedded provides a place to look at trends in embedded computing outside of the basic serial port connected or standalone Arduino. Open standards, embedded interfacing, industrial systems, 32-bit MCU’s, operating systems, development tools, hardware design, form-factors, vendors, and the inevitable competitors of the Raspberry Pi are a few ideas for discussion. July 30, Jay will start things off with a high-level tour of the Raspberry Pi SBC (Single Board Computer). Those who own a Pi and haven’t booted it yet [me], or who’ve booted their Pi and said “now what?” can watch the demos and follow along to get started and get ideas for things to try. For those who’ve had success with their Pis, we’d especially like to hear from you and see what you’ve got.